WASHINGTON — The U.S. Supreme Court has agreed to consider whether jurisdiction rests with the federal district or appellate courts to hear a lawsuit brought by the National Pork Producers Council and dozens of other agricultural organizations, businesses and municipalities against a Clean Water Act rule. 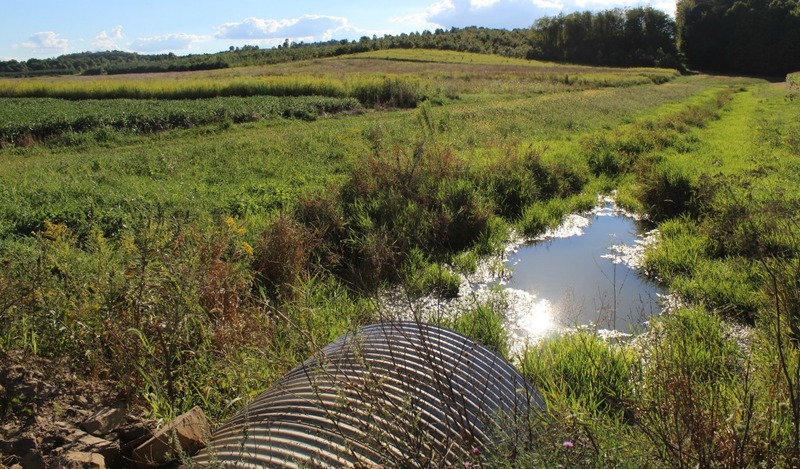 The Waters of the United States (WOTUS) rule, which took effect Aug. 28, 2015, was proposed in April 2014 by the U.S. Environmental Protection Agency and the U.S. Army Corps of Engineers to clarify the agencies’ authority over various waters. That jurisdiction — based on several U.S. Supreme Court decisions — had included “navigable” waters and waters with a significant hydrologic connection to navigable waters. But the regulation broadened that to include, among other water bodies, upstream waters and intermittent and ephemeral streams such as the kind farmers use for drainage and irrigation. It also covered lands adjacent to such waters. In the case that the U.S. Supreme Court accepted — National Association of Manufacturers v. U.S. Department of Defense — the Sixth U.S. Circuit Court of Appeals adopted a restrictive approach to judicial relief, allowing only federal courts of appeals to hear WOTUS challenges. This would prohibit federal trial courts around the country from hearing lawsuits from aggrieved landowners; instead, such challenges would effectively be concentrated in the first appellate court to consider a challenge. The National Association of Manufacturers appealed this jurisdictional ruling to the Supreme Court. The U.S. Court of Appeals for the 6th Circuit in Cincinnati in October 2015 issued a stay on implementation of the regulation pending disposition of numerous lawsuits filed in U.S. district courts around the country. Last year, however, the 6th Circuit consolidated the suits under its jurisdiction. Several agriculture groups in November submitted briefs to the appellate court, arguing that the agencies promulgated the WOTUS rule without following federal rulemaking procedures, the regulation is arbitrary and capricious or contrary to law and the agencies exceeded their authority under the Clean Water Act and the U.S. Constitution. The Obama EPA has filed its brief in defense of the rule with the 6th Circuit. In their brief to the appellate court, NPPC and the other groups said EPA and the Corps of Engineers failed to reopen the public comment period after making fundamental changes to the proposed rule and withheld until after the comment period closed the scientific report on which the rule rested. The groups also claim the agencies didn’t conduct required economic and environmental analyses, and engaged in a propaganda campaign to promote the rule and rebuke its critics and illegally lobbied against congressional efforts to stop implementation of the rule.